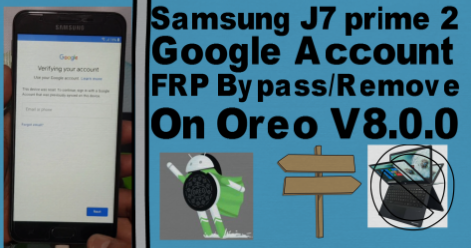 Samsung J7 prime 2 FRP BYPASS REQUIRED FILE. 2# Download Google Account Manager V8xx Apk. Samsung J7 prime 2 FRP BYPASS METHOD. 13# Download Quick Shortcut Maker Apk . 14# Install it then open. 15# Go to google account manager. 16# Then logine new gmail id and password. 17# Rebot your phone.click more time next. 18# Now go to setting enable OEM unlock. 19# Now factory reset your phone.take a time. 20# Now your phone ready to used. 21# Now your phone all verson and all models samsung frp lock bypass complite.